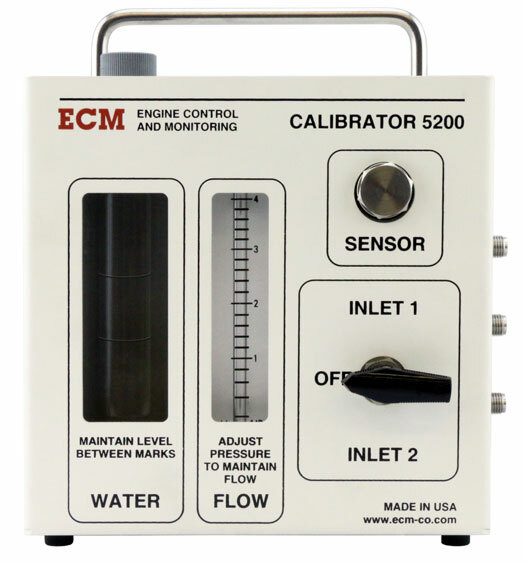 ECM's NOx Sensor Calibration System is a compact calibrator for ECM's NOx sensors. 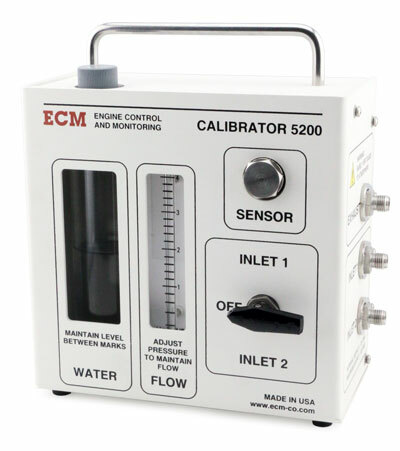 The calibrator integrates the sensor mounting, flowmeter, gas bubbler, and flow control valve into a compact package. 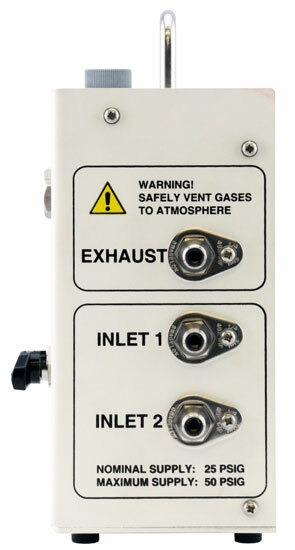 External tanks of ZERO gas and SPAN gas (and their pressure regulators) are required (not supplied). 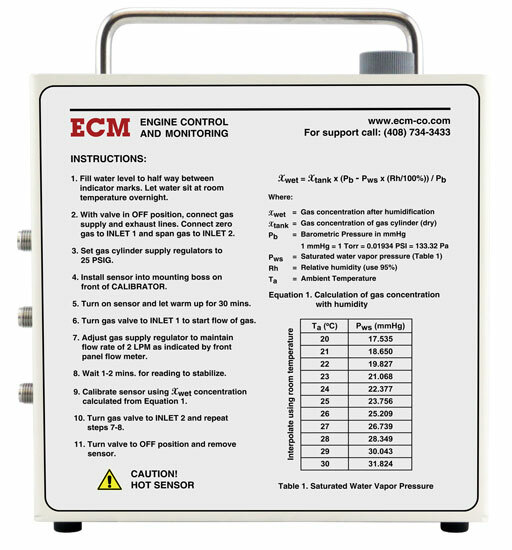 The required compositions of the ZERO gas and SPAN gas is specified in the analyzer or module's instruction manual.